Useful guides and downloads for your newborn photography. The parent prep is a simple guide for new mum advising on which foods to avoid so that baby is a settle as can be. Our training guide has been developed from many training sessions and newborn shoots that we have done. 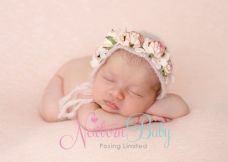 It outlines how to create the newborn set with beanbag, backdrops, frame, heaters etc and they shows you the beanbag posing flow that we do to maximise the images per pose will the least amount of disturbance to your sleepy baby. Our other guides detail specifically how to create some of the more popular newborn photography poses. Downloads won't be actioned if you have purchased other goods until your order dispatches. You will receive an email from EKMVault which will have a link to the downloads.